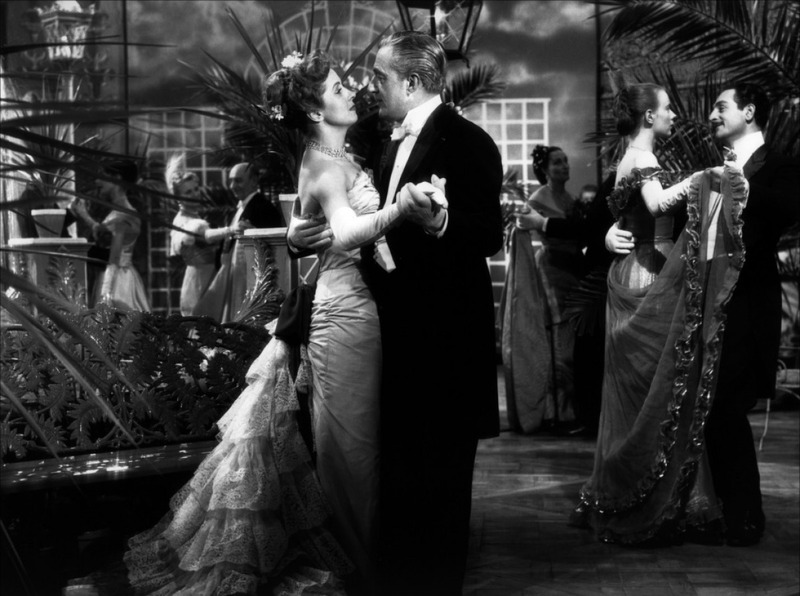 The film is laced with Ophüls trademark style. Its imagery is a crisp Black and White canvas baked in a classical Hollywood feel. Its lighting is romantic as with many of Ophüls other films. The dress code is very traditional and its characters are wealthy and conservative. These all sound like the ingredients of a golden age film that might be more concerned about its script than its visuals and tone – but this is Ophüls we are talking about. The camera in the film seems to flow with the characters, whether it is as they dance, as they walk down a staircase or as they exit a car, we are constantly being treated with a wonderfully shot camera motion. The style of a film like this is attempted all the time by contemporary filmmakers, none of which capture the same tone as Ophüls did here. He knew how to use his style in such a way that it did not seem pretentious or over-enthusiastic. Something that still captures the feel and beauty of classical cinema but at the same time manages to be something entirely different. Louise’s conception of her earrings in this film is a very important element. Her husband sees them as a sign of love for his wife, meaning that by giving them away he feels his love has been rejected by her. However it is also suggested by the film that the earrings are a sign of ownership he has over his wife, a sign of aristocratic power he has over her and others due to his wealth. In a way the earrings are short terms for all the material objects Louise is surrounded by. This life may be a well-off one, but is there much humanity and meaning under the surface? Is there any love in this characters world? This is why eventually in the film she attempts to find something more. The film is not only rich in social commentary with a strong passionate message under its surface, but is wonderful and romantic to look at. Its motions in camera movement will leave you wanting more from Ophüls. 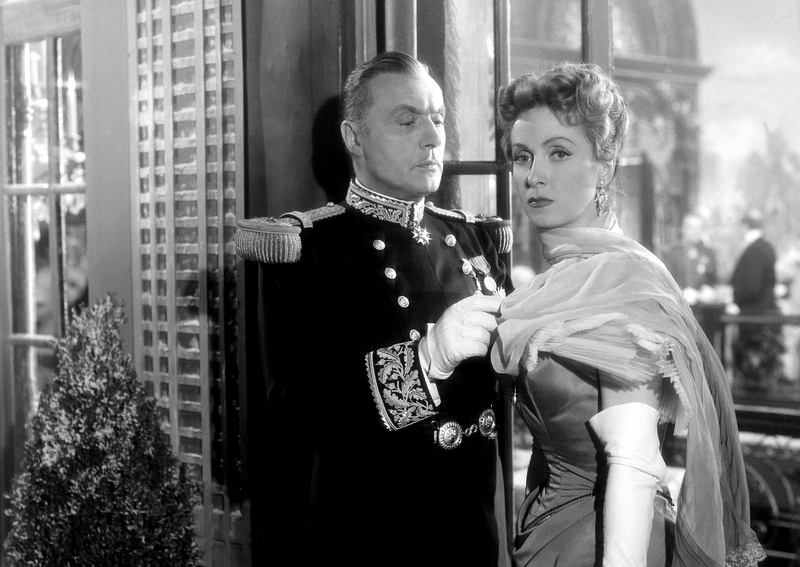 His style is something you will see attempted all over cinema, but when it comes to using it to its best possibility, Ophüls was really the only person that could make them like no other. I suppose you cannot see every film, no matter how old you get, and how many you thought you had seen. 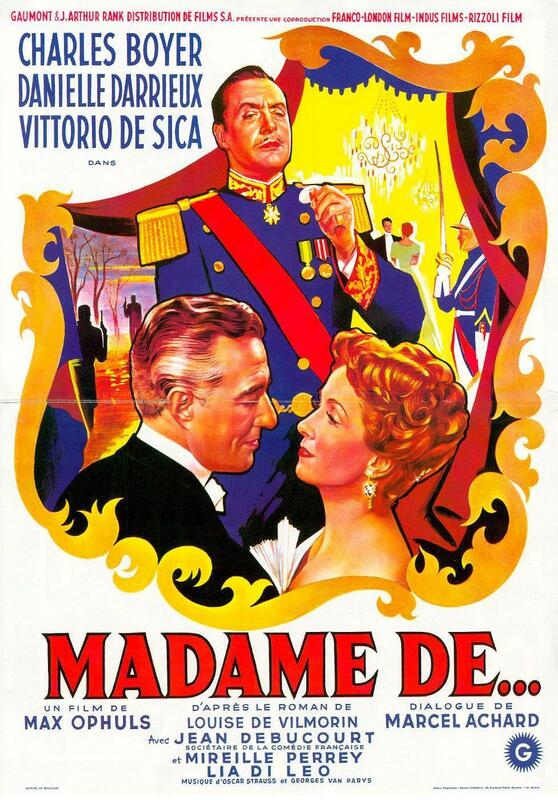 I have never seen this one, but your review, and the sumptuous stills, make me want to. Can’t say fairer than that , for a film blog. Hi. Thank you so much. That is great. I do not recognize who you are but certainly you are going to a famous blogger for those who are not already.